240sx.org was established in 1997 from a mailing list that dates back to the early 90's, and became the FIRST comprehensive S-chassis resource on the web. Today, 240sx.org is the largest and most trafficked destination for 240SX, 200sx, Silvia and 180sx owners and enthusiasts. The Web's most active 240SX classifieds are here, as well as the internet's ONLY forum dedicated to 240sx Convertible owners! Browse our KA, KA-t, SR, RB and CA engine forums, download a 240SX Factory Service Manual, and shop from over 40 advertisers offering exclusive discounts on 240sx performance parts to members! Stop in and see why 240sx.org is STILL the premier destination for S-chassis enthusiasts worldwide! We show you how to install a set of Voodoo13 control arms for the s14, and then we give you guys our impressions on their performance! Back to Basics: A clean, smooth, reliable S13 classic! This S13 started off as a plain-Jane, 1990 automatic base model. Now it's an extremely reliable and simple daily driver, dripping with smooth, old-school flair - and it's been built on a shoestring budget. Check it out! 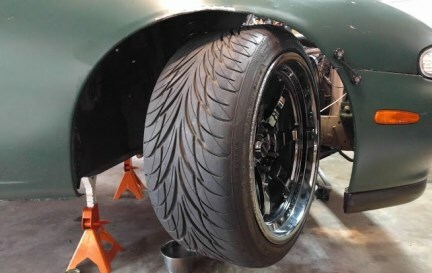 Is this the ultimate S13 build? This article is to help out anybody who is looking into making a very good desicion, buying a 240sx convertible. There are a couple of things the people should look for in a 240sx convertible before purchase.